Featuring Mitski, Car Seat Headrest, and more! 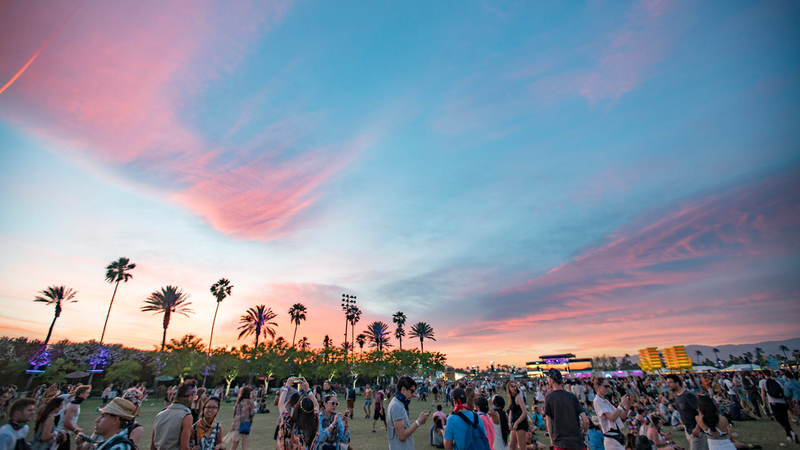 Whether or not you like the lineup, location, or the crowd it draws, there’s no denying that Coachella is America’s premiere music experience. First to release its lineup each year, it sets the tone for all festival announcements that subsequently follow. What’s so special about Indio, California is that a performance there has the ability to live outside of the grounds—it’s the kind of place where future stars are born and where current legends are cemented as icons. 2017’s headliners feature three of the industry’s biggest movers and shakers: Radiohead, Lady Gaga, and Kendrick Lamar. While we're obviously amped to see them take to the main stage (and hear K-Dot perform DAMN live), we're equally ecstatic about checking out the lesser known gems on the lineup (which is now listed alphabetically on their site). Check out the seven non-headlining acts we're most excited to see both weekends at Coachella. To some, they're the band who joined Arcade Fire onstage at Coachella in 2014. To others, they're a cultural ambassador for New Orleans—for its people, for the thriving culture, and for most importantly, the sounds you hear while waltzing through the French Quarter. Preservation Hall Jazz Band is an institution that deserves your respect, not one that demands it—after all, you don’t stay culturally relevant for over 50 years by demanding something. Instead, PHJB moved forward by doing what it is best at: playing music and making people feel good. Catch their set at Coachella for what might be the festival’s only appearance of brass instruments. It's hard to believe that it's been seven years since Local Natives burst onto the scene, and yet, listening to records like Gorilla Manor and Hummingbird still always feel fresh. Harmonizing in a way seldom found in recent memory, their intricate arrangements carry a refreshing sense of elegance. The five-piece, hailing from Los Angeles, are playing what’s fairly close to call home for them. Knowing full well the power of a performance at Coachella, count on this group to put on a statement set. Whitney’s Light Upon the Lake was one of 2016’s easiest albums to love. At its best, it’s breezy and satisfying—the kind of record that’s going to mesh well with the feelings and with the scenes at Coachella. My advice? Don't underestimate Whitney's ability to put on a show-stopping performance. For a festival that’s brought together acts like Outkast, LCD Soundsystem, and The Stone Roses, Coachella 2017 is surprisingly devoid of high profile reunions. Unlike other acts on this list, the Australian electronic music group have a penchant for disappearing (over a decade elapsed between their freshman and sophomore albums). Their set is not to be missed because who knows, you may celebrate a few more birthdays by the time their next tour rolls around. Perhaps one of the more powerful performances at Coachella may come from one of its lesser known acts. I first came upon Mitski after hearing her on Colbert, where she gave a rare, relentless kind of showing. Performing “Your Best American Girl”, the song is haunting, a tragic moment detailed in her 2016 record Puberty 2. Likely in favor of "good vibes," Coachella 2017 dips sparingly into the type of alternative rock that makes you conscious of your feelings. This young artist will carry the torch, as she's used to making the kind of music that represents the most difficult of your emotions. I expect a forceful performance this weekend, worthy of representing alternative rock as a whole. Real Estate simply put, is classic. The band who was once described to me as "the best at doing that thing they do," make music that is legendarily catchy. What makes it so endearing, exactly? The fact that it's dependable—you can always rely on them to soundtrack a reflective trip back to suburbia or subway ride home late at night. From their eponymous first record to Atlas, the five-piece’s music has followed a comforting, albeit linear, path. Their live show follows the same course, and should make for an incredible experience for those in attendace. Car Seat Headrest’s Teens of Denial was one of 2016’s standout albums. Over the course of 70 minutes, Will Toledo lamented teenage drug use, drunk driving, killer whales, and hippies. My biggest wish? That all my friends heading to Indio this weekend ditch "the hot new DJ" for this sure-to-be-epic set and send me snaps of it all (no filters please).